Learn for today from the lives of yesterday in this study on the characters from the Old Testement for groups and individuals. Abraham is an unforgettable portrait of faith. Daniel is a classic example of holiness. And through her willingness to risk her own life, Esther shows us what commitment means. 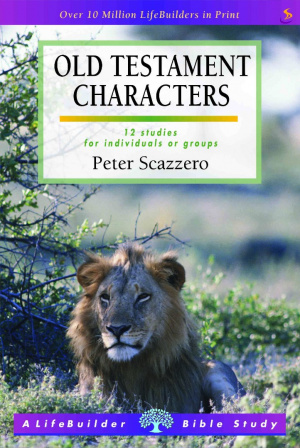 This Bible study introduces you to twelve remarkable lives described in the Old Testament. The stories of these people from the ancient past can help you learn to live well even today. Lifebuilder Bible Study: Old Testament Characters by Peter Scazzero was published by IVP in April 2000 and is our 2788th best seller. The ISBN for Lifebuilder Bible Study: Old Testament Characters is 9781859993828. Got a question? No problem! Just click here to ask us about Lifebuilder Bible Study: Old Testament Characters. Which characters are included please ? A:This study features Daniel, Esther and Abraham.